When a ship comes into a port, it needs to stop and keep in place without moving forward or back, which is important for the ship safety in port or at a pier. 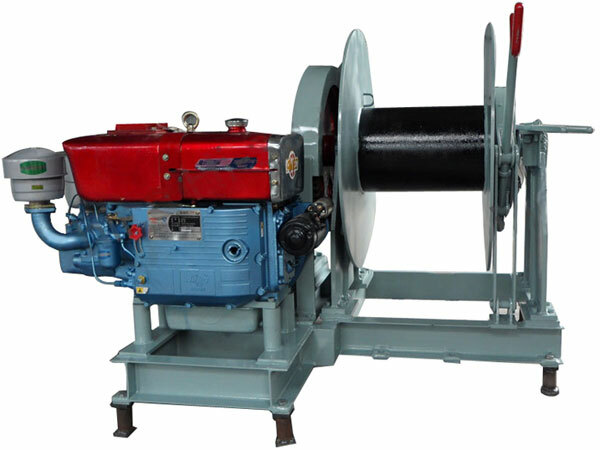 Mooring winch for ships is used to realize the safe stop of the ships, the winch can be driven with different power modes, the two main types are electric motor drive and hydraulic pump drive, and the latter is more widely used especially on large scale ships for mooring operations. 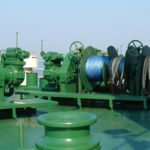 On a smaller boat, the operator may directly power the winch with a crank, that’s why the design of mooring winches depends on the type of ship, the weights of mooring lines including rope, cable and chain, the level of stress the lines may endure and bear when the ship is in port or at a dock, etc. 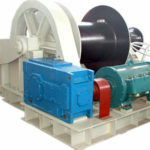 Mooring winch for ships has single, double or triple drum as needed, the operators twine rope, cable or chain around the mooring drum, during mooring ship, the operators pay out the line from the mooring winch installed on deck allowing it to reach shore, and then they attach the line to the cleats or other points to stop the ship and keep it in place. 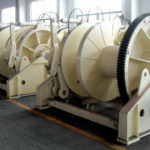 Windlass mooring winch can be categorized in different ways as follows: classified by drive type, there are electric mooring winch, hydraulic mooring winch and diesel mooring winch; classified by control type, there are mooring winches with automatic control and winches with manual tensioning control; classified by the number of drum, there are single drum mooring winch, double drum mooring winch and triple drum mooring winch to meet different mooring needs. For the mooring windlasses with more than one drum, the drums can be split or undivided. 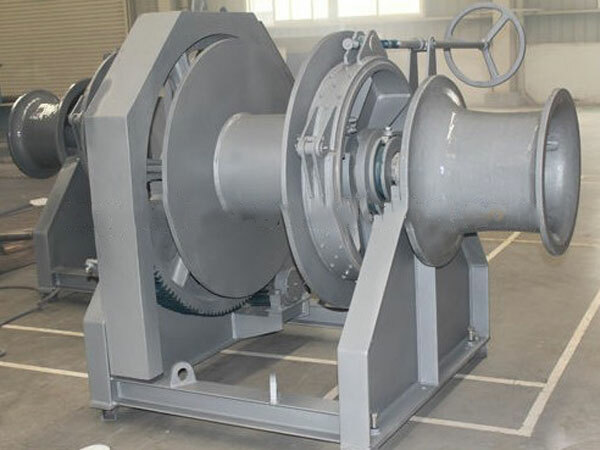 The ship windlass can adopt different types of brakes, like band brake and disc brake. 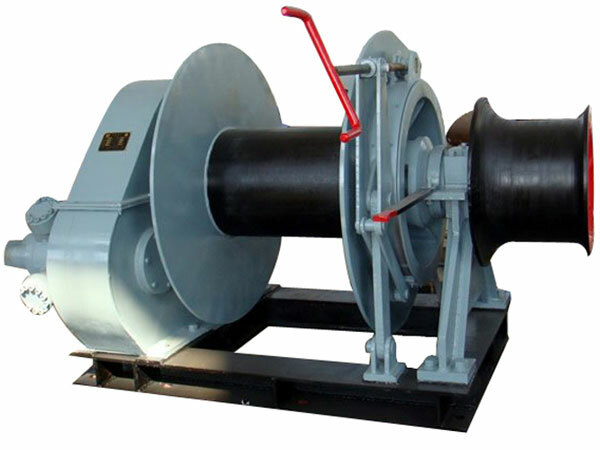 Mooring windlass performs multitude of functions according to different needs on ships. 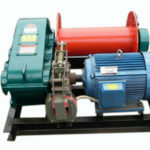 When the ship mooring winch is not in use, it is advised to cover it to limit exposure to excessive moisture or other elements aiming at reducing the risk of injures to the winch. 6. 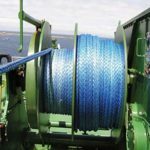 We have passed many certificates for our products such as ISO, CE, ABS, LR, BV, DNV, RMRS, the marine winches produced by Ellsen provide long-term operation and little maintenance requirements. 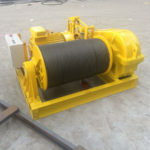 For more information about mooring winch quotation and marine winch for sale, just contact us at any time you need, and we will offer you top quality mooring winches with very reasonable price.